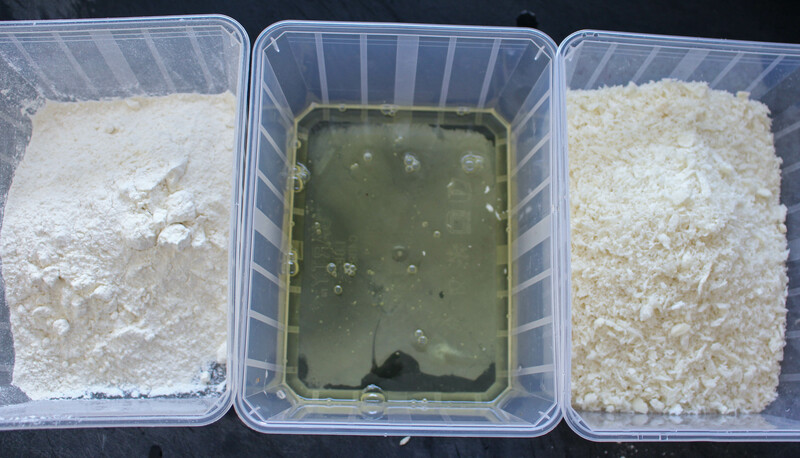 Begin preparing the risotto the day before as it is easier to mould when chilled. Heat the chicken stock in a saucepan and keep it at a gentle simmer. In the widest pan you have, heat a tablespoon or so of olive oil and gently cook the onion for a couple of minutes (until it becomes translucent). Add the garlic, a pinch of salt, the rice and stir well. Add a dash of white wine and begin slowly adding the chicken stock a ladle at a time whilst simultaneously stirring the risotto. This takes time and patience. You should be stirring the rice continuously as this builds up the starch in the risotto, giving it a creamy texture. This should take about 15-20 minutes. Check the texture of the rice, it should have some bite but should not have a crunch in the centre of the grain (if so it is still uncooked). Once you are happy with the consistency of the rice, remove it from the heat and add the lemon juice and zest. Add some cracked white pepper and the Parmesan. Stir well then check the seasoning. You may need to add some more salt and pepper to the risotto. Transfer the risotto to a baking tray or large plate that will fit in your fridge and once cooled cover in cling film and refrigerate over-night. The following day, take a small spoonful of the risotto and cup it in middle of the palm of your hand. 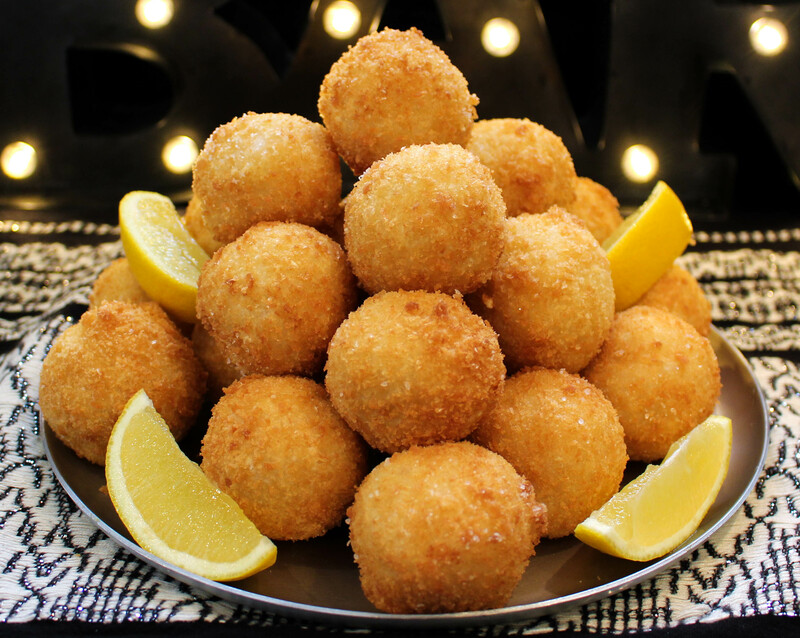 Take a piece of mozzarella (around the size of a small dice) and press it into the risotto. Then take another small spoonful of the risotto and encase the mozzarella with the rice. Roll into a ball and then set aside on a baking tray or platter to return to the fridge for another 30 minutes or so to firm up. 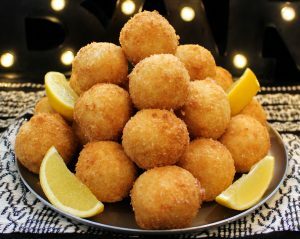 Roll the risotto balls in the flour, evenly coating each ball, then wet with the egg white, then roll in the breadcrumbs. Set aside on a baking tray or plate before frying. Pre-heat the sunflower oil in a medium sized pan to 170C. You can test the temperature of the oil by tossing a couple of some breadcrumbs into the pan. If they sizzle and float, the oil is ready, if not wait another couple of minutes. Never, ever leave an oil pan unattended and always take care when deep frying. Fry until golden, then transfer to a baking tray. Re-heat in the oven at 180C for around 15-20 minutes before serving.